South Korea’s economy posts modest first-quarter growth on stronger exports. Global trade uncertainty could pose a risk. Domestic demand remains good, with nearly full employment driving an increase in wages. Retail sales volume was up a strong 7 percent in March versus a year earlier.2 The planned increase in government spending should boost domestic demand as well, although it may take some time for this to take effect. Also, the recent substantial increase in the legal minimum wage (up 16.4 percent in 2017 from the 2016 level) should help consumer spending, though it might have a modest chilling effect on hiring.3 That could be especially problematic given that the country currently has a relatively high rate of youth unemployment. Inflation remains low, with consumer prices up 1.6 percent in April versus a year earlier.4 This bodes well for the central bank in maintaining a relatively easy monetary policy. The central bank did start to tighten the policy in November for the first time in six years, but given the low level of inflation, it is likely that further moves will be very gradual at the most.5 If the US Federal Reserve raises its benchmark rate substantially in the coming year, capital outflows from South Korea could accelerate, putting downward pressure on the won. If that happens, the South Korean central bank could decide to tighten the monetary policy faster. Nonetheless, the bank might decide that a declining currency could be beneficial to exports while not necessarily boosting inflation significantly. On the negative side, there has been a slowdown in the growth of industrial production, with output actually declining in five of the last seven months.6 It appears that export orders have lately weakened. If this persists, there could be a negative impact on growth in the coming year. The National Assembly has passed a bill that could substantially boost spending this year. This should have a positive impact on economic activity, if not this year then certainly in 2019. To pay for this, the government could increase the tax levied on profits of large corporations. In part, this money will likely be used to redistribute income to small- and medium-sized enterprises. They will receive subsidies to compensate for the higher minimum wage.7 In addition, the government intends to spend money on programs meant to curb youth unemployment, which remained stubbornly high at nearly 12 percent in March.8 Government debt remains modest at roughly 38 percent of GDP,9 a figure that has not changed in the last three years. Thus, the government clearly has room for fiscal expansion. In the past decade, household debt in South Korea has risen from less than 75 percent of GDP to 95 percent of GDP,14 which is high by global standards. Moreover, in the first quarter, household debt rose faster than household income, despite government efforts to stem the rise in debt.15 Such efforts include restrictions on second mortgages, tighter rules for mortgages, and stringent parameters for bank lending. Although the current level of debt is not necessarily problematic, given low interest rates and low unemployment, a change in these factors could create challenges for the country’s banking system. South Korea’s working-age population is shrinking. Moreover, the fertility rate continues to decline—last year, there were more deaths than births. All other things being equal, this will lead to a further decline in the rate of economic growth. As in Japan, this will likely also constrain inflation, thus providing the central bank more room to engage in an easy monetary policy. A declining working-age population will likely exacerbate the challenge of supporting an aging population, possibly requiring higher taxes to pay for the cost of pension and health care. This will likely lead to a shortage of labor and could prompt South Korean companies to shift operations to lower-wage locations such as China and Southeast Asia. 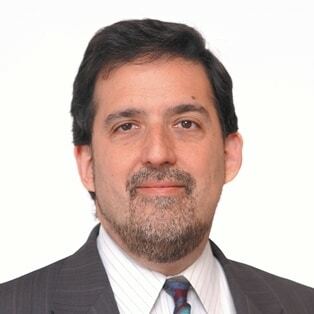 Dr. Ira Kalish is a specialist in global economic issues and is based in Los Angeles, California. South Korea: Economy showing signs of resilience has been added to your bookmarks. South Korea: Economy showing signs of resilience has been removed from your bookmarks.